I wanted to try knitting something super chunky and had a look online for some inspiration. Chunky knitted pouffes caught my attention and I decided to have a go at my own project. 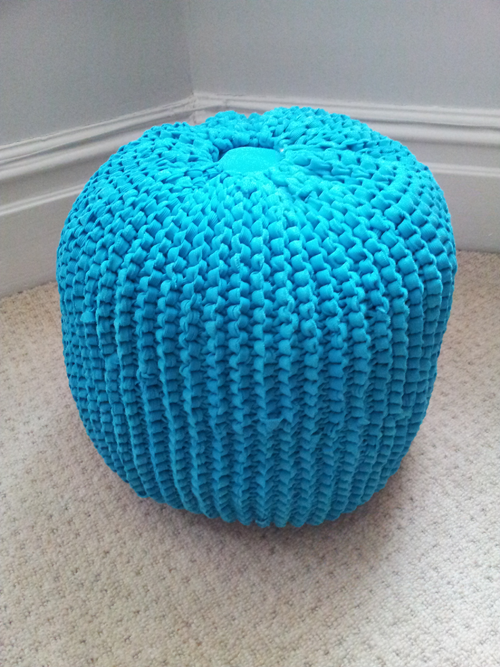 The pouffe is knitted using cotton jersey fabric (nearly 3m of 60″ wide in total) that I cut into 2cm strips and joined together to make one long ‘yarn’. Using garter stitch and 12mm needles I knitted a rectangle that was twice as long as it was wide. To shape the top and bottom I threaded a strip of fabric through alternate stitches and pulled it up tightly to close. 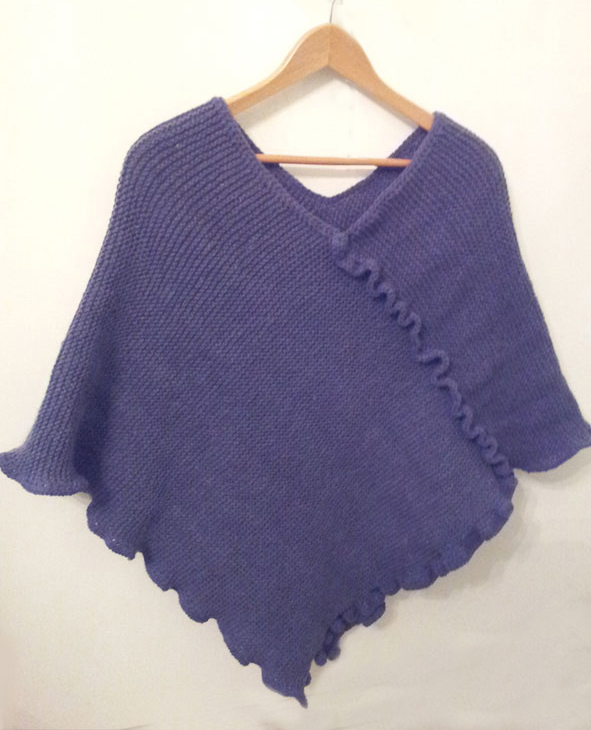 I remember wearing a poncho when I was a child, that my mum knitted for me, and I haven’t thought about them since. Until last year when I borrowed one to wear, as I was a bit chilly, and loved it and thought I’d knit one of my own. I started it in early 2012 and didn’t finish it until that Christmas (I was distracted by other projects) but finally, here is the finished piece. 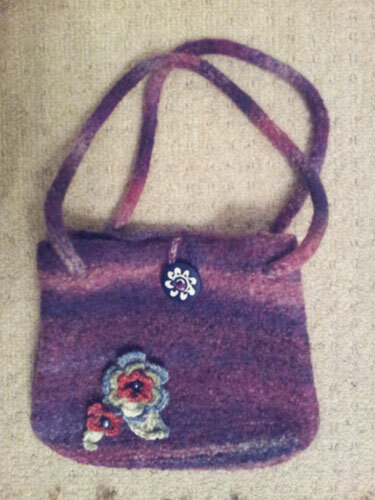 I was planning to just knit it, but having completed it I thought the edges could do with a little finishing touch. Over the Christmas holiday my mum worked out a pattern to give it a curly edge. I played around with this and opted for three different stitch patterns, mostly to conserve wool as I was nearing the end of my ball of wool! It is so warm and fits perfectly. You can download the pattern from Etsy and have a go yourself.